This is old news, but I thought it is worth sharing again because a) it's Avatar; and b) the world is full of miserable crap so it's nice to hear some good news for a change! 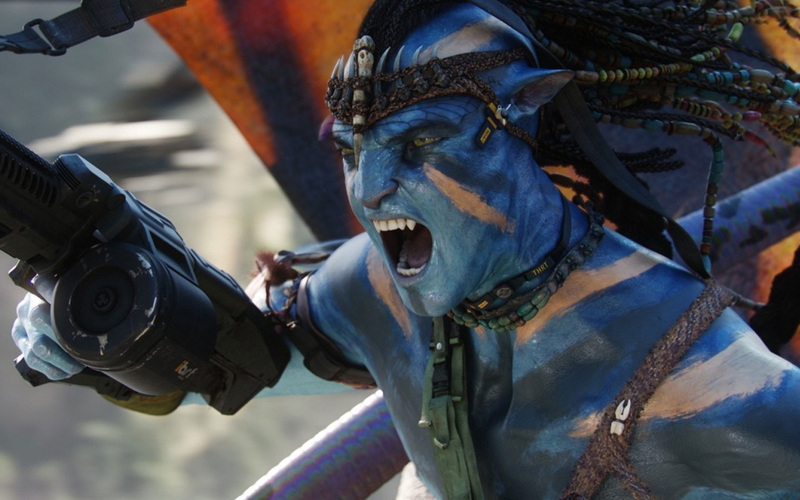 James Cameron has insisted that the production of his two, possibly three Avatar sequels will be carbon neutral. The king of the directing world has committed the rest of his career to producing sequels to the biggest-grossing film of all time, hinting at the possibility of not just a trilogy but even a fourth entry into the mega-franchise. While many derided Avatar for its simplistic plotting and heavy handed eco-message, the science fiction fantasy blockbuster won legions of fans keen to spend time on the far away planet of Pandora, beautifully realised by Cameron and his team and changing the 3D game for good. But what is most interesting about the upcoming sequels, not just for those who hated the original film but also for fans of the franchise, is that James Cameron intends to really put his money where his mouth is and invest in carbon neutral filmmaking, even on one of the biggest blockbusters of all time. Environmentally conscious Cameron will be shooting the sequels at the MBS Media Campus in Southern California (formerly known as Manhattan Beach Studios) that features an aggressive water conservation program, eco-friendly paints and cleaning products, sustainable café and craft services practices and a number of programs to promote greener transportation by its employees. Not only this, but Cameron will also be digging into his own (no doubt over-stuffed) pockets to fork out for a solar array which is said to provide all of the electricity needed to shoot and produce the sequels. The sequels to the biggest blockbuster of all time are going solar-powered, reflecting the environmental message of the films themselves. If that was not enough, Fox and Cameron have pledged some of the profits from the sequels will go to environmental causes. Many have criticised Mr Cameron in the past for making films that seem to attack technological development and the richest members of society while simultaneously pushing forward film technology faster than anyone else in the business and also getting richer than anyone else in Hollywood. It is this paradox that has fuelled criticisms of Cameron’s more recent films such as Titanic and Avatar, but with his plans for the sequels, he looks set to hush the naysayers and lead the way in taking Hollywood into a more socially responsible and environmentally aware era. If the very biggest blockbusters can be carbon neutral, it says a lot about what else we might be able to make less damaging to the environment if we put in the right kinds of investment. Whatever people say about Avatar’s predictable and simplistic plotting, they will no longer be able to attack the writer and director’s intentions or accuse him of being a hypocrite by selling a message he undermines or even does not truly believe in. His love of nature and particularly the mystery of the deep oceans of this planet has shined through in his previous work and will undoubtedly feed into the first Avatar sequel that Cameron has suggested will explore the oceans of Pandora. With all this saving the planet while making the sequels, perhaps the future of the human race will not come to colonising and destroying other planets for their natural resources, as seen in the original Avatar. Perhaps we can learn a little something, both from the films and from James Cameron himself.